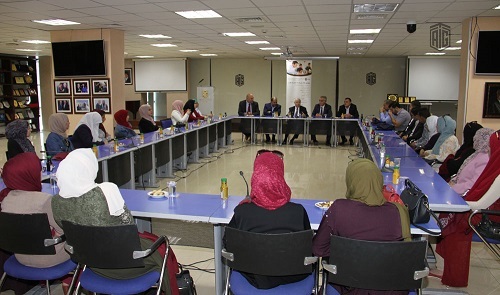 During the ceremony held at Talal Abu-Ghazaleh Knowledge Forum, Dr. Abu-Ghazaleh affirmed the importance of the Knowledge Station in developing youth skills in the Camp in business management, creativity and innovation fields. “We came into the fourth industrial revolution, the first was the agricultural, the second was the industrial while the third was the information revolution. Now, we’re at the beginning of knowledge revolution which will make a complete shift in our life; our bodies, abilities and health and even in things,” Dr. Abu-Ghazaleh said. Dr. Abu-Ghazaleh pointed out that he is in the process of releasing a book, new of its kind at the world level which explains how the world would look like after embracing the Knowledge Revolution, expressing hopes that the book will be taught at schools and universities. He noted that Talal Abu-Ghazaleh Organization will hold a training course and introduce a knowledge certificate relating to the book. For his part, Director of the Hedaya Community Center Mr. Nasser Abu Rashed extended his gratitude to Dr. Abu-Ghazaleh for his patronage of the ceremony and for establishing knowledge stations throughout the Kingdom in general and at Hedaya Center in particular. 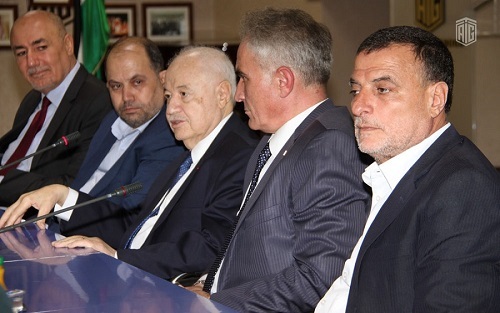 He underlined the great benefits of these stations in human development, building the country mainly in areas that suffer harsh conditions, describing Abu-Ghazaleh “The Knight and Godfather of Digital Knowledge”. At the end of the ceremony, Dr. Abu-Ghazaleh received an honorary shield from the Center, while graduates thanked him and read a poem that has been exclusively written for His Excellency.